Once again, vote on your favorite of each match up - do not vote in your own match up. In the event of a tie, the team with most points from group stage will win. Voting will end Sunday night, July 15, at 11:59:59 PM PDT. Best of luck to our finalists! I will be reposting these match ups so you can see the concepts side by side. 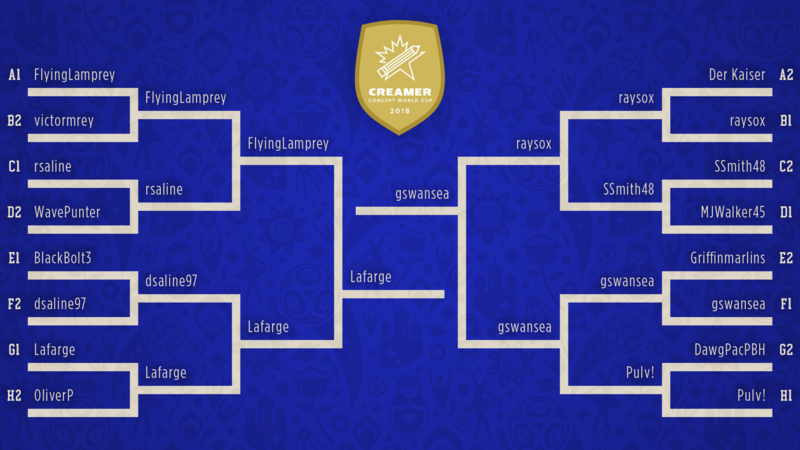 @rsaline ever thought of making up a winners patch for both 2014 and 2018 Creamer World Cup winners that they can post on their profiles? I think it would be a good reminder for people. Oh don't worry, I'm whipping something up! Mexico - Thought this concept deserved to win the whole thing since I first saw it. Splendid blend of traditional designs and graphic style. 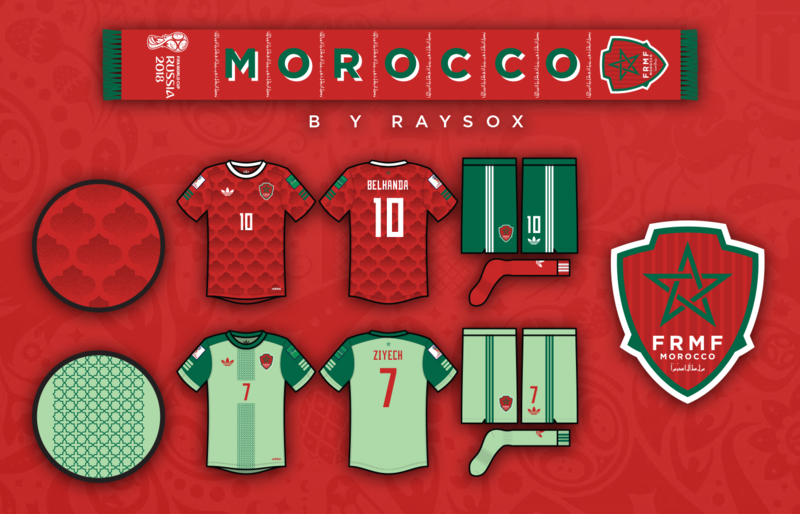 Morocco - This match up was so close, with both teams sporting innovative kits, but the clever use of traditional geometric pattern in the moroccan kit is so spot on I have to give them the third place. Mexico gotta take this dub, but 3rd is def Morocco. This set was definitely my favorite from this tournament. The logo has both an ancient Aztec and modern feel, uses a great double green + red color scheme, and is just really beautiful--a significant improvement over FMF's current logo. 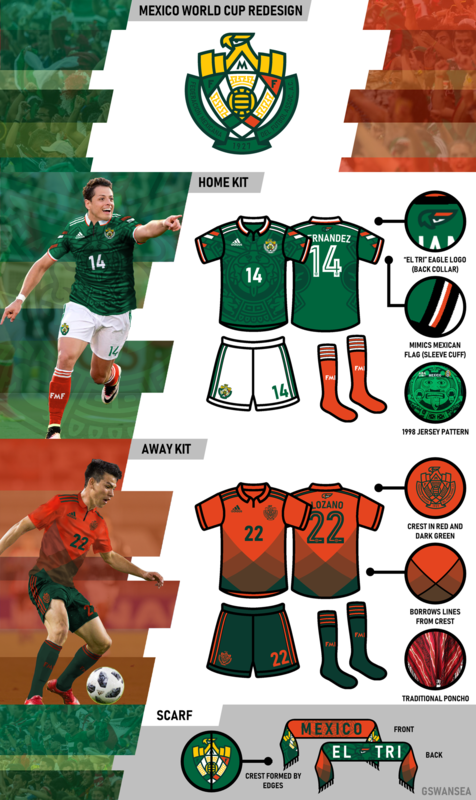 The green jersey is a wonderful modernization of the old one, and is a great design use of Mexican history. The red one is just a pretty design that looks like a desert plant. Finally, the scarf fits with both jerseys nicely. 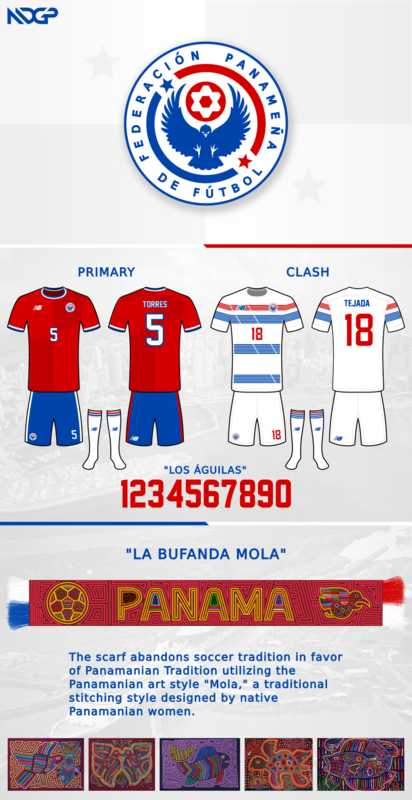 Panama's set is really great too. The scarves are really amazing; they're clever and pretty and well executed. The harpy eagle logo is really well done, but feels a tiny bit generic. 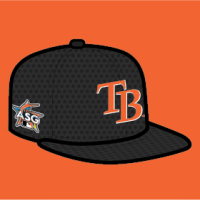 The jerseys are quite good, but their simplicity puts them just below the competition. The logo improvement here was astounding! The beetle is perfect for Egypt. The pattern on the red jersey is really pretty, and matches the team very well. 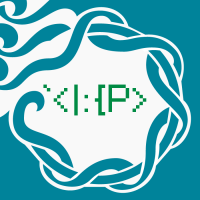 The scarf also uses this pattern well. 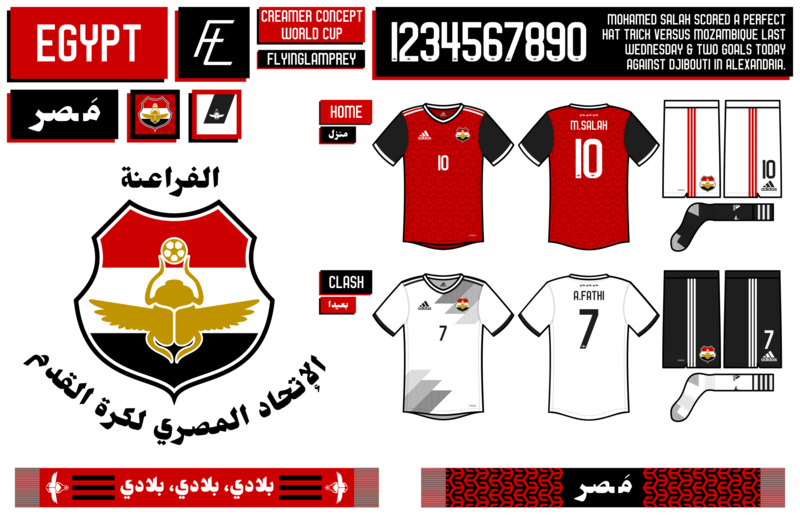 My only concern here is the clash, which looks really nice, but kinda lacks the final bit of Egyptian flair. Morocco's set is also really beautiful. The patterns are amazing, well-done, and perfect for the country. If this competition were jerseys alone, Morocco would be my favorite. However, I think the scarf and logo are great, but just a bit too simple. The flag works for the logo but places it slightly behind the use of culturally significant animals in the others. Plus, the spikes on the side seem added-on. The font of the scarf seems a tad generic, even with the drop-shadow. This match-up was a really tough choice. This was probably the closest pairing of the tournament. It might've helped if I knew any Arabic, to see what is written on the scarves + logos. Sorry to ramble, but I felt the need to express my admiration for all four semifinal sets. My complaints would be nitpicks in any other context than a tournament, and I know I probably couldn't do better. Congratulations to the finalists and to everyone who entered! What a great tournament!